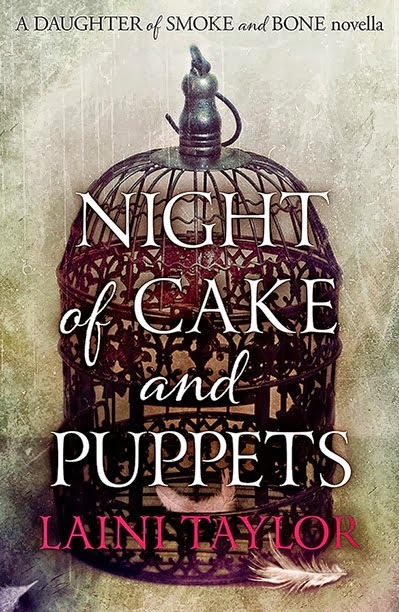 In this new stand alone novella from New York Times bestselling author Laini Taylor comes the story of a funny and fantastical first date. 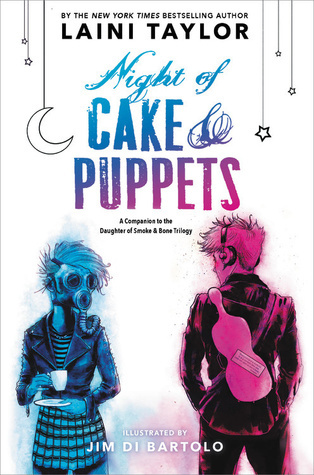 In NIGHT OF CAKE & PUPPETS, Taylor brings to life a night only hinted at in the Daughter of Smoke & Bone trilogy - the magical first date of fan-favorites Zuzana and Mik. Told in alternating perspectives, it's the perfect love story for fans of the series and new readers alike. I have loved Zuzana from the very first book, she is such a fantastic character and I love the fact that no matter what happens she always has Karou's back. I can never get enough of strong female friendships and theirs has been a favourite since the beginning. 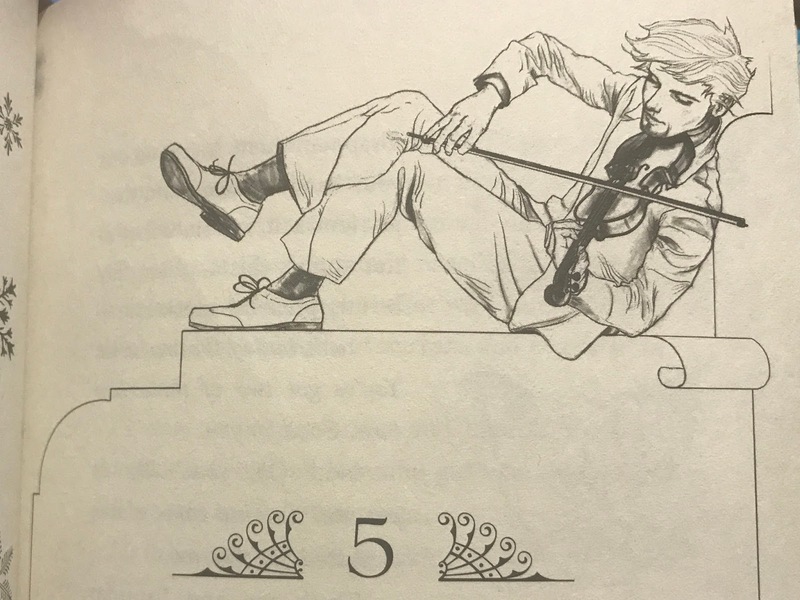 I also completely and utterly adore Mik, it's so nice to come across a fictional guy who isn't an overbearing alpha who wants to control everything his girlfriend does. Mik couldn't be further from that if he tried, he's sweet, sensitive, laid back and able to cope with whatever Zuze throws at him. He's ready to roll with the punches and although he may not be a fighter he would do anything to make Zuze happy. 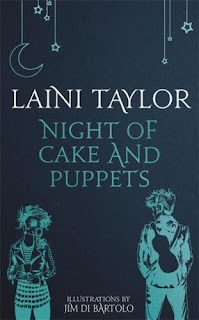 The two of them together have given me some of my highlights of the whole series so I couldn't have been more excited to discover Laini Taylor had written an extra story that focuses entirely on them. We've come to know them quite well as a couple throughout the series but until now we never got to see their first date and how they ended up getting together in the first place. 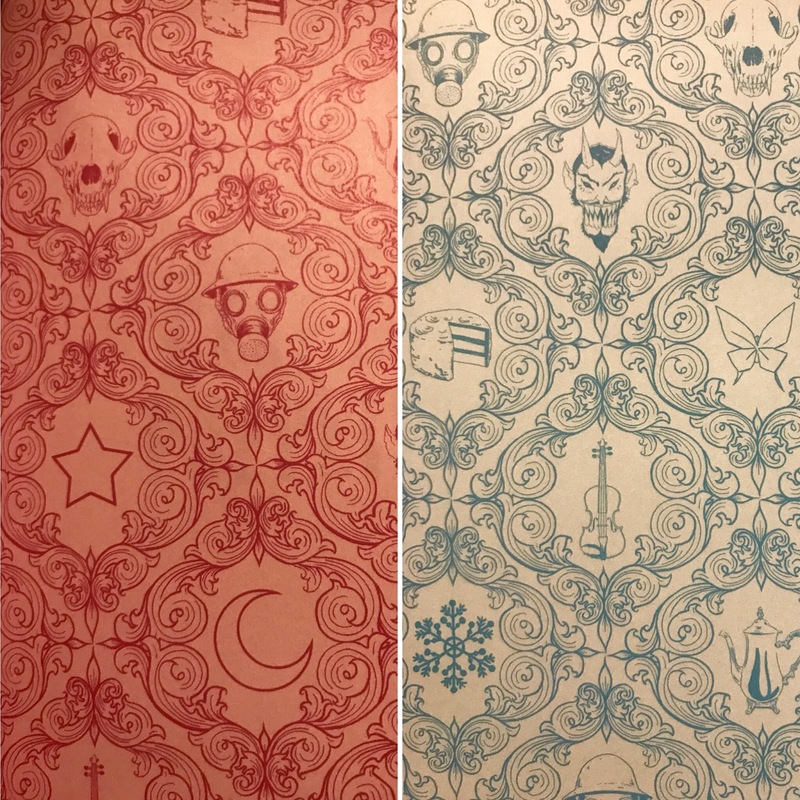 This story fits into the series timeline somewhere during Daughter of Smoke and Bone so can be read at any point after you've read the first book. I'm going to deliberately keep this review pretty vague because I would hate to ruin the magic of it for anyone who is yet to read it. 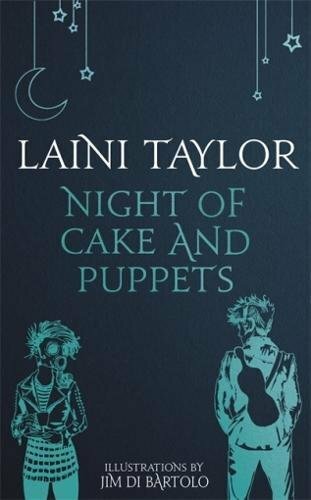 Just trust me, Laini Taylor fans will LOVE this story, it has everything you would expect from this author - beautiful writing, wonderful characterisation and more than a touch of magic. Zuze is such a quirky character so I'm sure you wouldn't expect her to go on any kind of normal, boring first date but the adventure she plans for Mik is nothing short of magical. In fact, it's perfect for them and Laini Taylor has captured this couple so brilliantly that I feel like I know them in real life. Without a doubt this is my favourite ever fictional first date and I just wish we could have had a whole book starring these two characters. It's not often I give a novella 5 starts but Night of Cake and Puppets was utterly perfect and it deserves every single one of them. I had to update this review with a few pictures now that I have my absolutely GORGEOUS US hardback of this story. 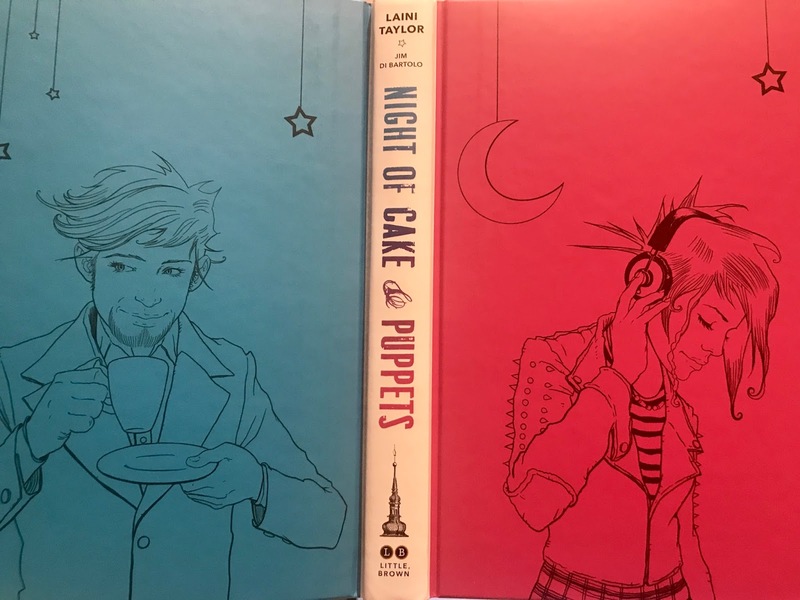 There is a UK hardback available too but I just couldn't resist the bright colours of the US version & I don't regret my purchase for a second because it is even more stunning in the flesh. The story is the same as the original ebook novella but it is now full of fab illustrations from Laini Taylor's husband Jim Di Bartolo which just make the story even more special. 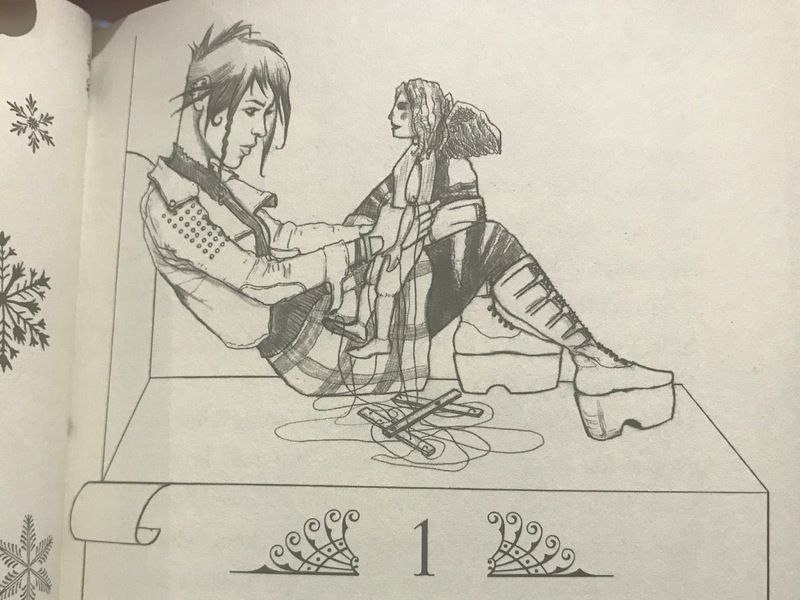 It also includes an 8 page adaptation of a scene from Daughter of Smoke and Bone that has been turned into a graphic novel! Please, please someone tell me that we're going to get the whole series in graphic novel form - I would snap that up. Even if you've already read this as an ebook it is well worth investing in a hardback copy for your shelves!